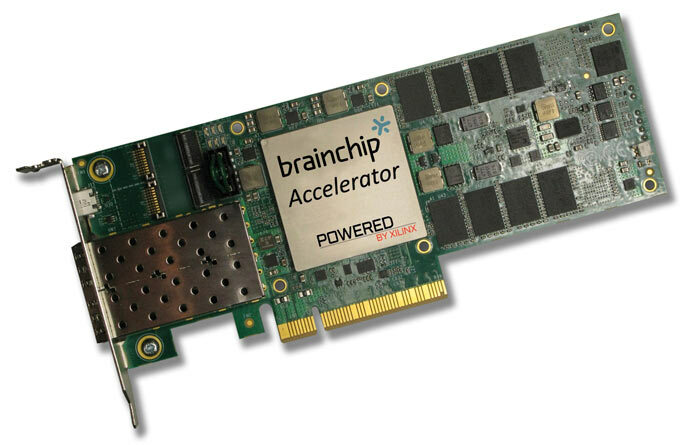 This week BrainChip launched the world's first PCIe card for the hardware acceleration of neuromorphic computing. The add-in card, aptly named the BrainChip Accelerator, is the first commercial application of a hardware-accelerated spiking neural network system. Initially it will have a rather limited scope of application: it will be used alongside the BrainChip Studio AI software (Windows or Linux) to greatly increase the speed of object and face recognition. Looking closer at the hardware, it is described as an 8-lane PCI-Express add-in card. A Xilinx Kintex Ultrascale field-programmable gate array (FPGA), which you can see prominently on the card pictured above, includes six BrainChip Accelerator cores. The BrainChip Accelerator card is said to be very energy efficient as each processor core consumes just one watt while processing up to 100 frames per second (total card power = 15W). BrainChip has some impressive comparisons to make vs CPU and GPU-based systems working on the same tasks. With the BrainChip Accelerator in place users can benefit from up to 16 channels of simultaneous video processing, its neuromorphic computing hardware is about 7x more efficient (frames/second/watt) than using a GPU accelerator, and it will be about 6x faster at the job of processing video frames. BrainChip Studio, the software which will see immediate benefits from the installation of this accelerator, requires only a 20x20 pixel image to detect and classify faces, for example. It excels in low-light, low-resolution, noisy environments. 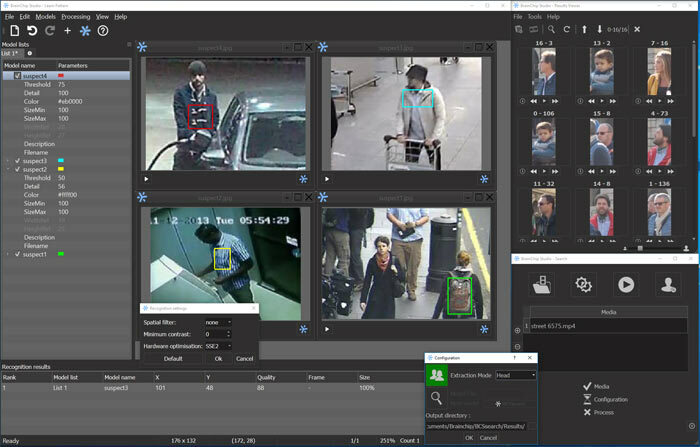 Capable of processing 16 video streams with an effective throughput of over 600 frames per second, leveraging BrainChip's spiking neural network technology, it means that law enforcement and security agencies can more quickly find what they are looking for. Please note that your PC will need at least an accompanying 8C/16T processor to achieve the headline performance claims. law enforcement and security agencies can more quickly find what they are looking for. And targeted advertising can more easily pepper you with stuff based on your face, just like in the movies!! Please note that your PC will need at least an accompanying 8C/16T processor to achieve the headline performance claims. So AMD threadripper CPUs for our law enforcement then.